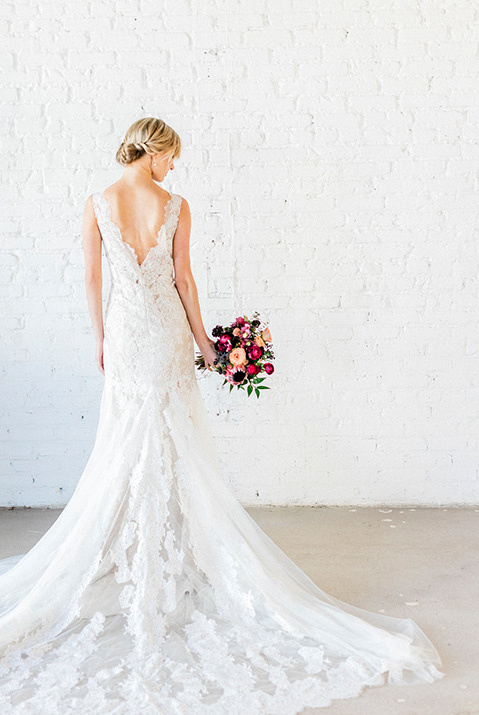 As one of the top Casablanca stores in the country, Denver’s Blue Bridalistas have been specifically trained to design our brides custom gowns by this designer! Casablanca is committed to designing and manufacturing bridal gowns that reflect superb quality, original design, and attention to detail. Their privately owned factory allows them to ensure all phases of production from start to finish are to our exacting standards. Every Casablanca gown is made to order one at a time. Casablanca takes great pride in the fact that they do not mass-produce their bridal gowns. Each gown is unique from the hand beaded designs & exquisite laces, to the fit and customization for every bride’s specific needs. Gowns range from 1,100 to 1,800 dollars.